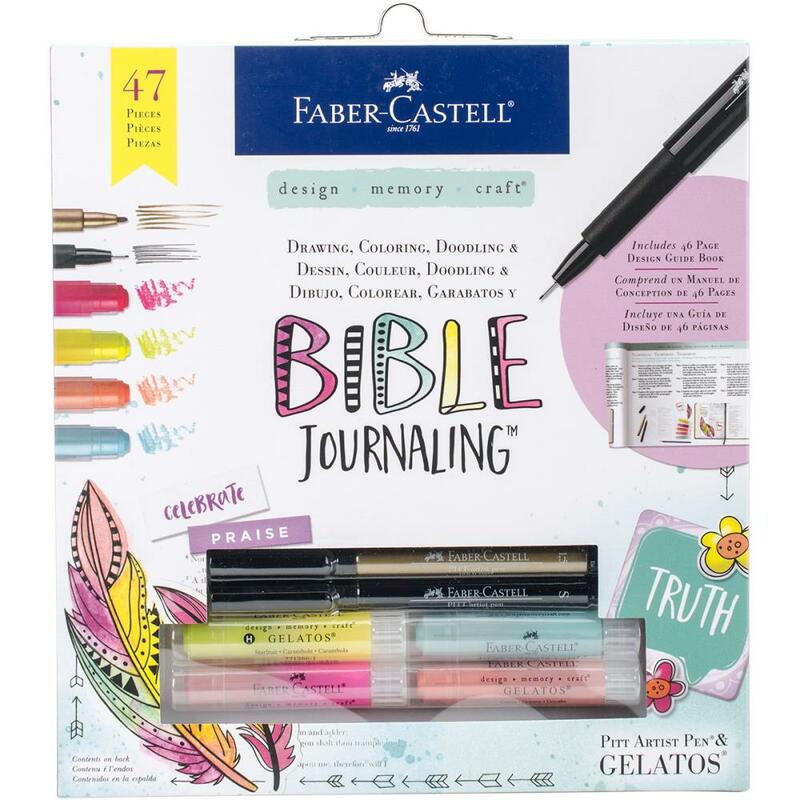 Design Memory Craft-Bible Journaling Kit. This kit includes all you need to begin creating mixed media pieces and journals to capture your thoughts and memories. 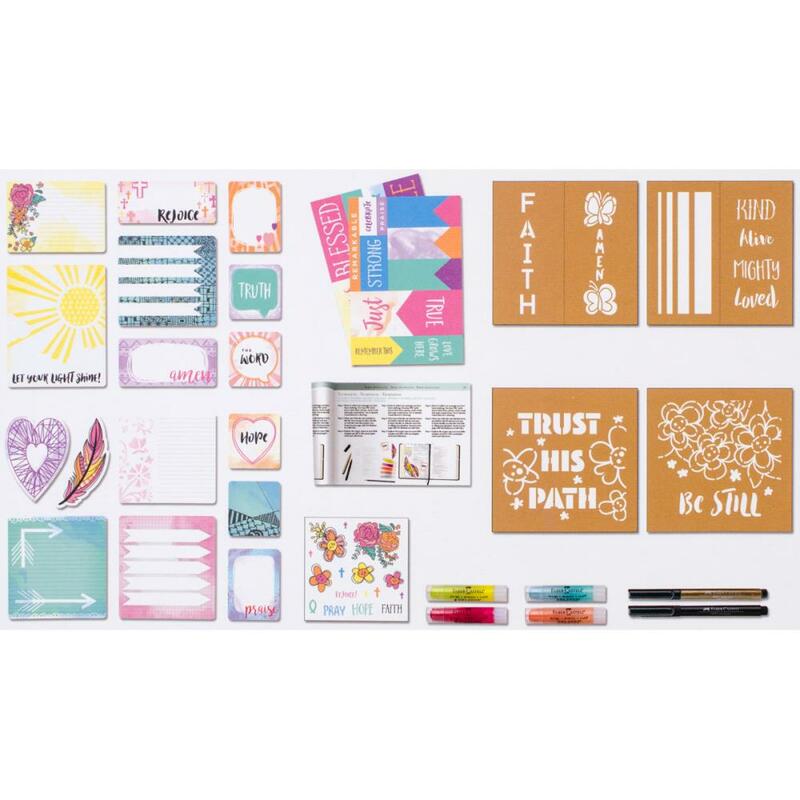 This 10x9-1/4x1-1/8 inch package contains sixteen die-cuts, two sheets of mache paper, one 46-page illustrated design guide, sixteen stickers, two gelatos highlighter colors, two gelatos colors, two artist pens, two mixed media stencils and four Bible journaling stencils. Conforms to ASTM D 4236. Imported.